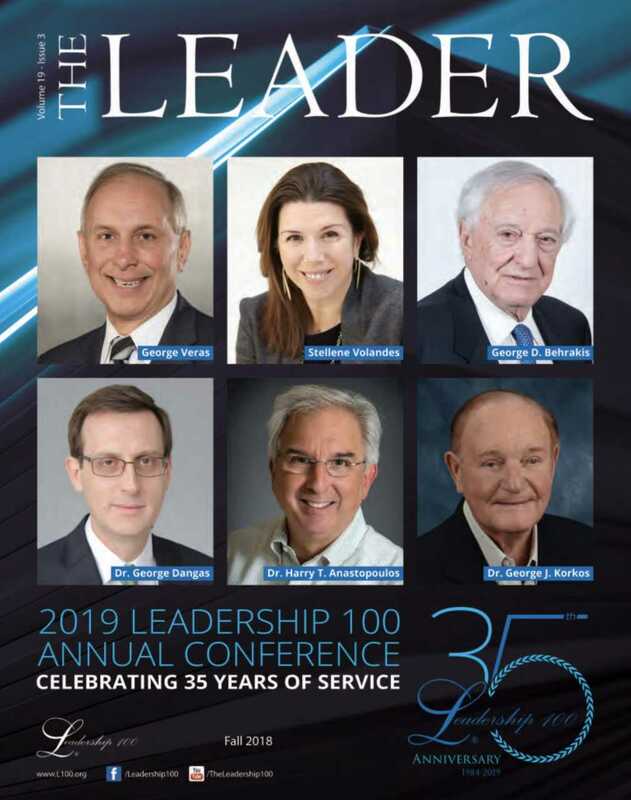 Leadership 100 will be celebrating its 35th year with an eye toward youth as it gathers Feb. 20 through 24 for its annual conference at the Boca Raton Resort & Club in Boca Raton, Florida. Thanks to a recent recruiting campaign, Leadership 100 has seen an influx of younger members in 2018 that will be well represented at the organizations 29th annual conference in Florida. The conference opening forum Feb. 21 will begin with a Bible Study conducted by His Eminence Archbishop Demetrios, Geron of America. Conference speakers will include George Veras, chief operating officer and executive producer of the Pro Football Hall of Fame, producer of seven Olympics and a 10-time National Sports Emmy Award winner. Town and Country Magazine Editor in Chief Stellene Volandes is also scheduled to speak. Leadership 100 Chairman Emeritus George D. Behrakis will moderate a panel of renowned medical specialists on the subject of “Health and Wellness: Improving our Quality of Life.” Panel members are cardiologist Dr. George Dangas gastroenterologist Dr. Harry T. Anastopoulos and Dr. George J. Korkos, a leading plastic surgeon. A Celebration 35 Concert will close out the day. Produced by Aphrodite Daniel, Director of SynPhonia Entertainment, Inc. it will feature renowned Greek singer, Giorgos Lianos. The general assembly will meet Feb. 22, with a lecture by his Eminence, followed by a luncheon and a business forum addressed by George Veras. 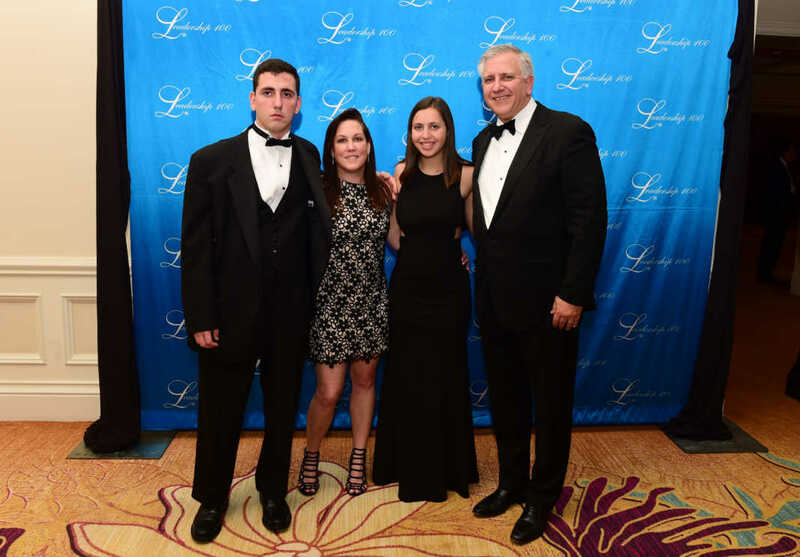 A brunch, golf and tennis tournaments and a walk/ run event are planned for Saturday, Feb. 23, with a Black-Tie Grand Banquet in the evening at which the Archbishop lakovos Leadership 100 Award for Excellence will be presented. The Hierarchical Divine Liturgy will be celebrated on Sunday, Feb. 24, at Saint Mark Church in Boca Raton. Leadership 100 uses its national endowment program to provide grants for special projects and ministries of the Greek Orthodox national church. Its mission is to promote Hellenism and Orthodoxy. Since its founding in 1984, Leadership 100 has distributed $51 million in grants. Leadership 100 gets its name from the initial 100 people who were willing to become members and donate $10,000 a year for 10 years to help fund programs and projects. Today, the organization has 1,100 members going into 2019 and it continues to grow. “I think the word is out and has been out for a number of years about all the good work that’s been done,” says Leadership 100 Chairman Argyris Vassiliou. Even as membership increases, the members themselves have been skewing older, so a recent campaign kicked in to find younger members. That campaign seems to be working. “We’ve made it a little easier for people under age 45 to become members,” Vassiliou says. Payment plans are offered to younger members that may be dealing with college loans and less revenue. That makes membership more affordable and more attractive. Greek Americans will gather at the conference from across the nation, as well as members from Greece and even areas like the Caribbean and the Bahamas. 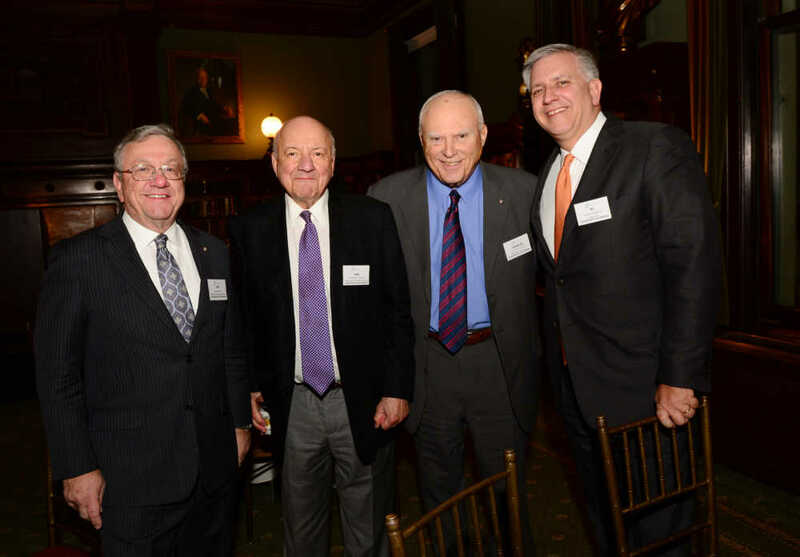 L-R: Membership recruitment dinner at the Metropolitan Club with Lou Kircos (Board member), Thomas Jordan (Treasurer), Charles Cotros (Chairman Emeritus) and Argyris Vassiliou, Chairman. “It’s a nice venue to interact besides just local events,” Vassiliou says. The conference is a chance for everyone to review the past year and it will include a financial audit, a gift of transparency to the membership over how the funds are allocated and spent. As to what programs and projects will be funded in 2019, that will be up to the grant committee, which will review them with the executive committee and with the Archbishop. 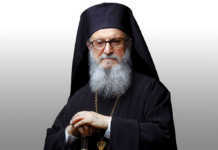 Past money has aided religious and Greek Education, youth, young adult, family and marriage services, Inter-Orthodox, Ecumenical and Interfaith relations, Internet ministries and home mission, as well as humanitarian assistance during national and international crises, according to the Leadership 100 website. The group’s biggest recipients are the students of the Hellenic College/Holy Cross School of Theology, with the money used to train new priests. If the priests become ordained, the loan does not have to be repaid. Leadership 100 is also an ex-officio member of the St. Nicholas Committee and has given funds to help build the St. Nicholas National Shrine. St. Nicholas Church was destroyed at Ground Zero during 9/11. 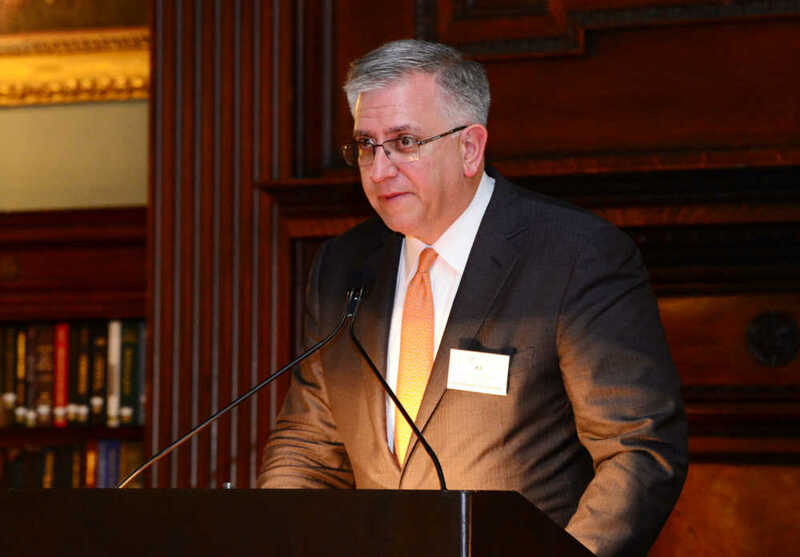 Vassiliou thanked Paul and Aphrodite Kotrotsios, co-publishers of the Hellenic News of America and the newspaper itself for the support shown to Leadership 1oo over the years. “I appreciate it and love reading your newspaper,” Vassiliou says.